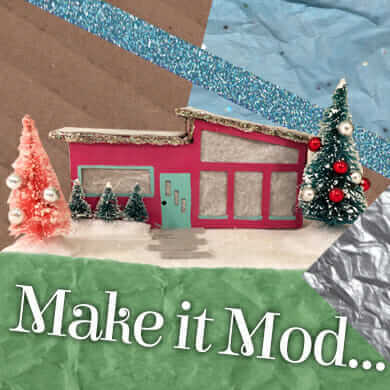 Third, because I’ve been writing about handmade gifts from etsy to buy for the holidays. Doesn’t woofie deserve a little something, too? Above: More orange luv, and in granny squares, too. <3. 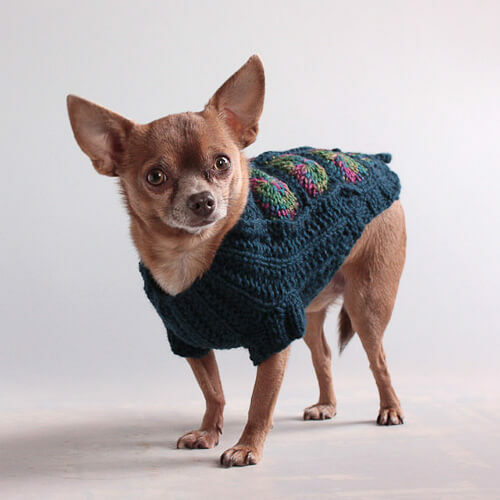 Handmade dog sweater from HepsibabaBowWow, $54. 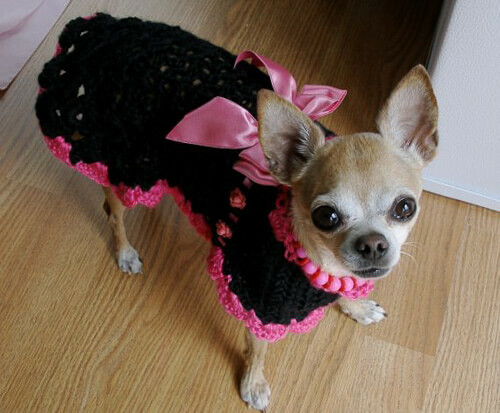 Fourth, some days I just want to write about cute doggies like other “normal” bloggers. Can you blame me? 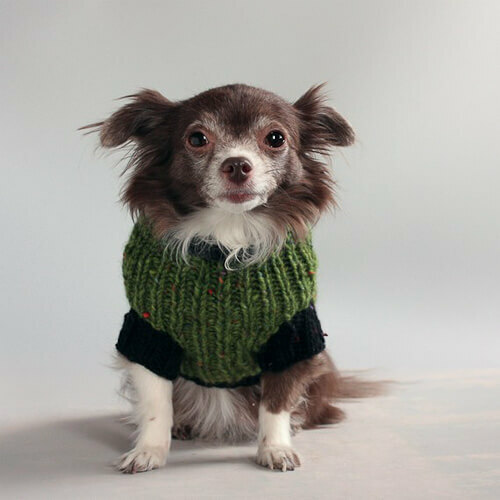 Above, wise leprechuan in a handmade dog sweater, $52 from HepsibabaBowWow. Mary of HepzibabaBowWow says these chevron patterns are an homage to the 70s. You know I like that. 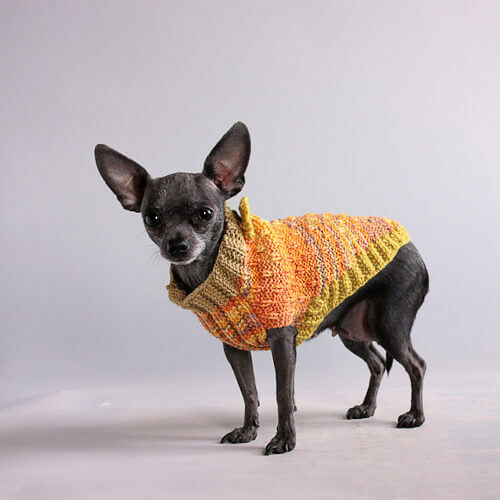 Dog sweater from HepzibabaBowwow, $49. 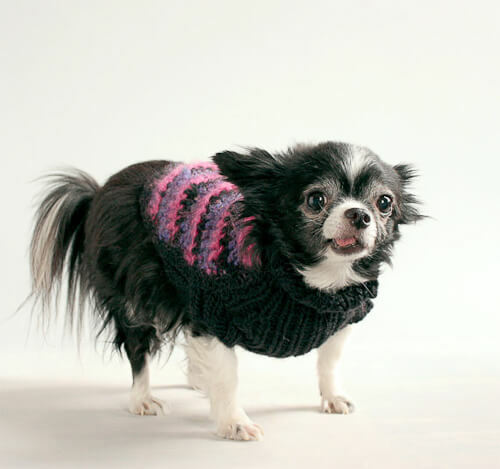 The “manly granny” dog sweater by HepsibabaBowWow, $52. Jewel tones for sure look good on the pup, she’s a “winter”. $49 from HepsibabaBowWow. 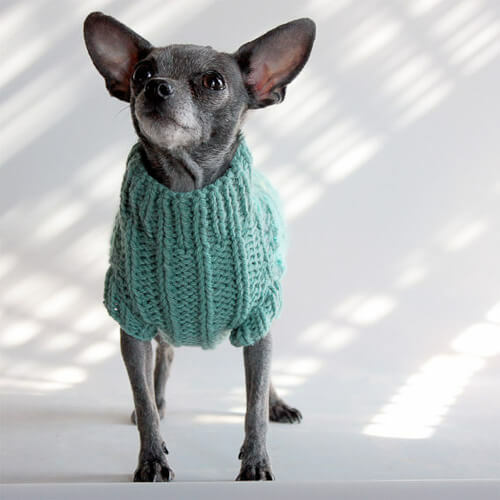 Does this sweater make my ears look big? 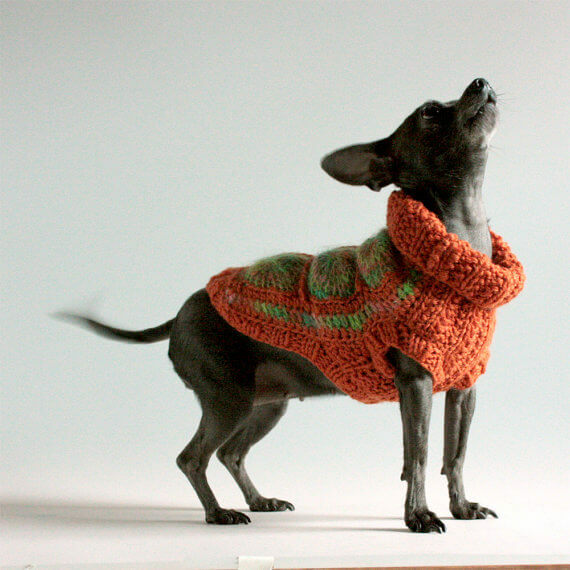 Crocheted dog sweater from HepsibabaBowWow, $45. 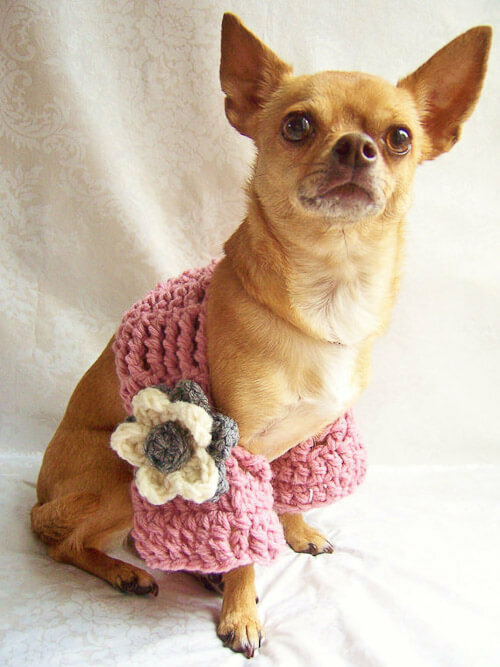 Evie models a pink dog shrug, $15 from Lukesmom6. Evie in a crocheted sweater, $25 from Lukesmom6. 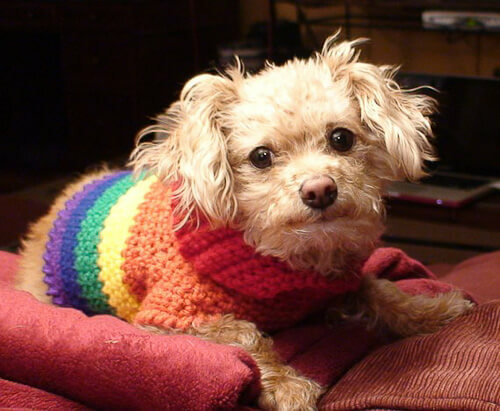 Eileen’s doggay sweaters are crocheted in gay pride colors. 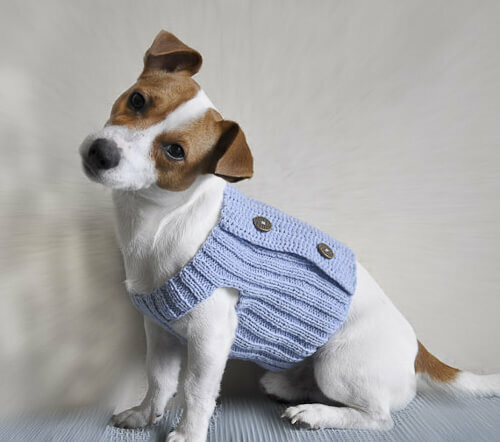 Dog sweater $30 from TepperWear. 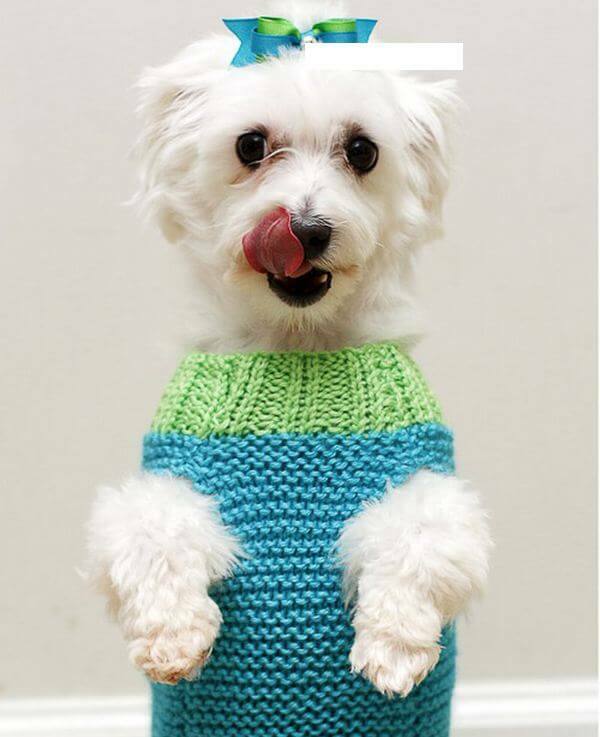 Amailo makes knitted dog sweaters, this one is $33. I love this mustard color, but I don’t think it’s Astro’s color. He also is a winter. Buford looking dapper. 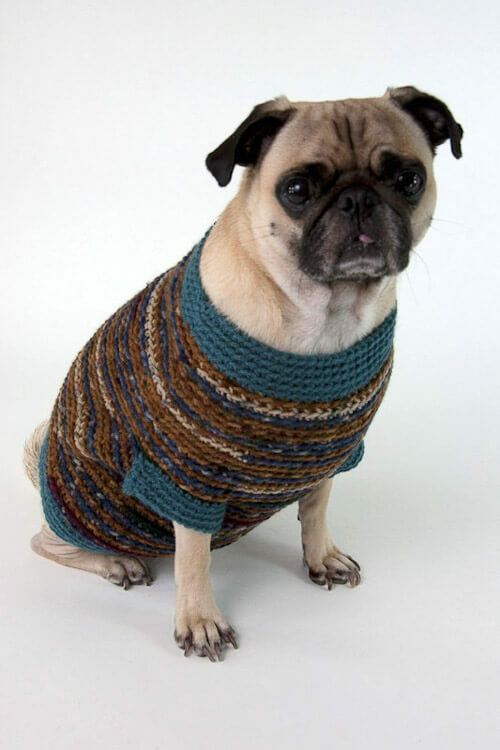 Dog sweater is $36 from thedoggiemarket. 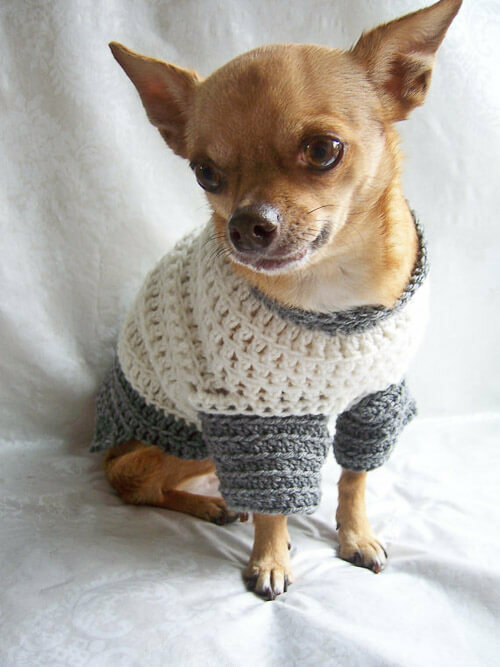 Amailo also is selling patterns to knit dog sweaters, this one is $5.50. Ozarknomad also sells patterns. 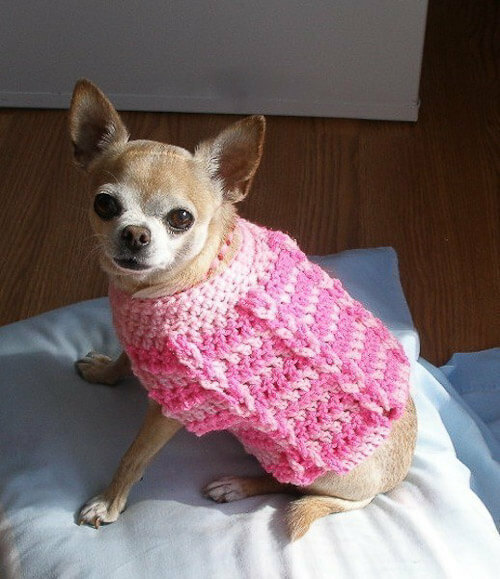 $4.50 for the dog sweater crochet pattern above. 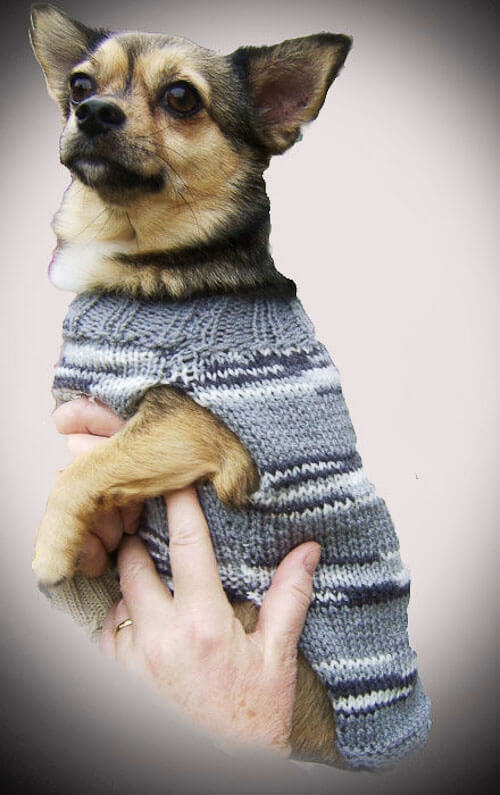 And $5 for the dog sweater pattern above, also from ozarknomad. You can get a handmade knitted shawl, too. $15 from amailo. 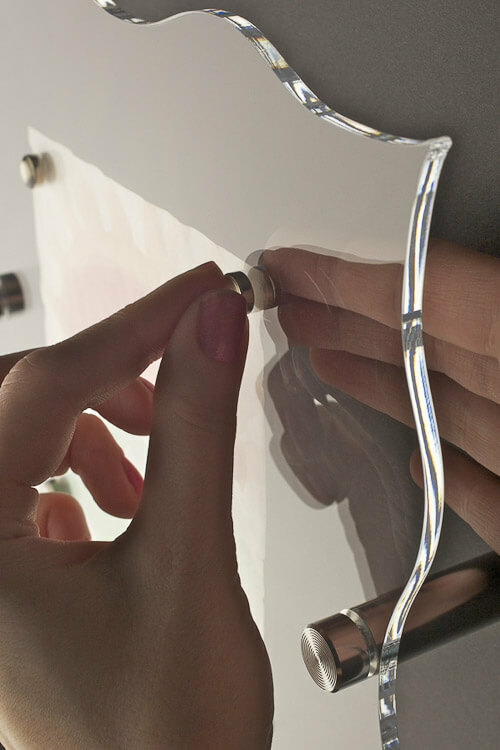 The shawl, or cowl, can be quickly converted to a cap. $18, amailo. Ho ho ho, Merry Christmas from Buford. 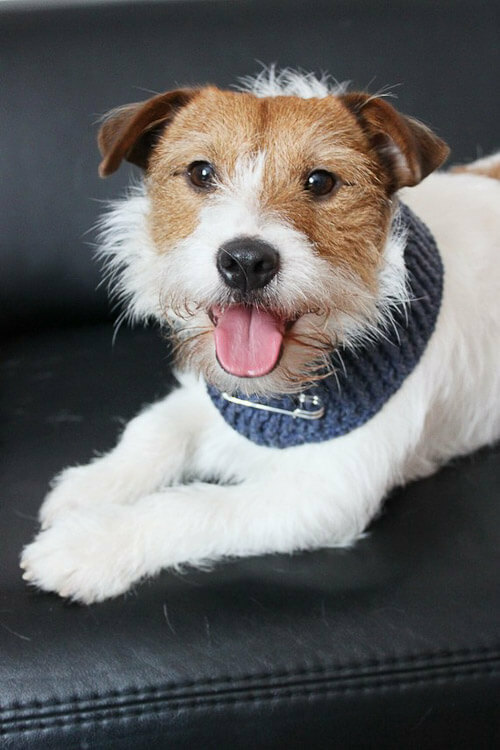 Bandana is $18 from thedoggiemarket. All photos used here with sellers’ permission. 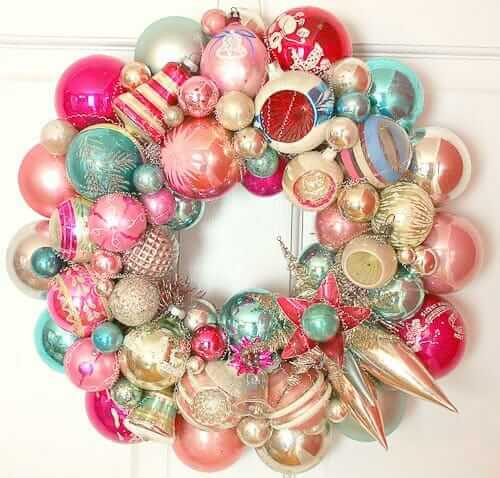 See my etsy treasury list (holds 16) here. Thank you, and good luck with holiday sales 2011! Ha! These pictures are cracking me up! Sooooo cute! 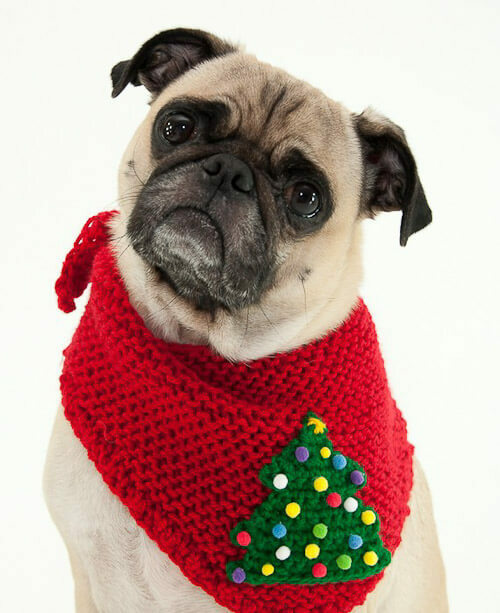 That pug in the Christmas bandana – the look is priceless! 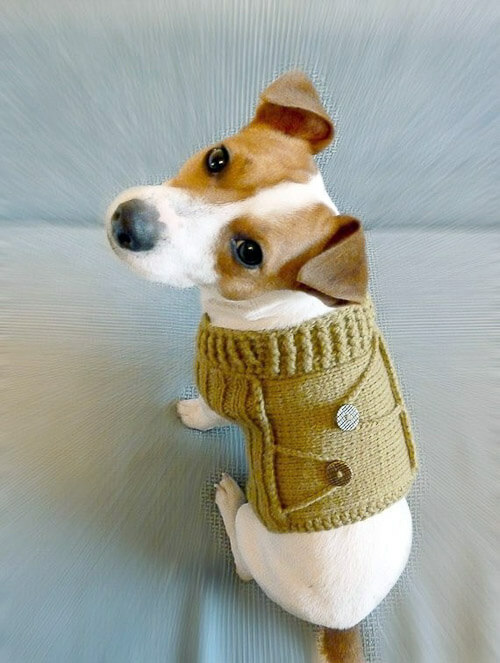 I also love the little backpack on the Jack Russell. 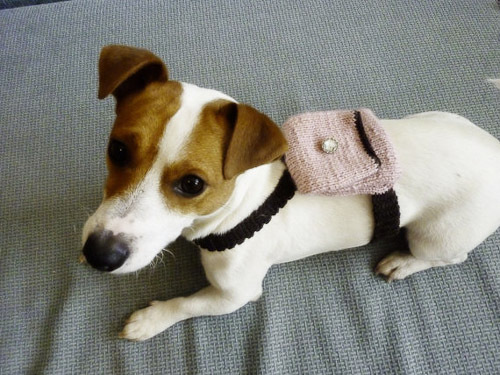 I have a “sister” (as my Dad says) that’s a Jack Russell and I think she might need a backpack. I have cats, though, and they wouldn’t think of letting me dress them in sweaters. That would turn into a bloody battle, I fear. Too cute! 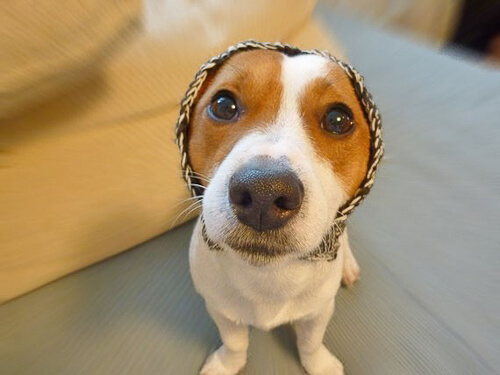 Unfortunately my beagle will have NOTHING to do with clothes of any type. I bought her a fleece coat, but when I put it on she absolutely would not move. It was as if her paws were superglued to the ground. I tried a lighter t-shirt fabric style, but again: would. not. move. Darned stubborn beagle! Wendy, I have the same problem with my dog Boo. She refuses to move when I put any clothing on her. I ended up buying her festive collars, one for each season and for each holiday. I figure that is the only way to “dress” her up and she has always worn a collar so she doesn’t mind it at all. I would bet that there are etsy artisans who make festive dog collars! Thank you for an excellent start to my day! Loved the pics. Very adorable, but where are the photos of the medium/large dogs? 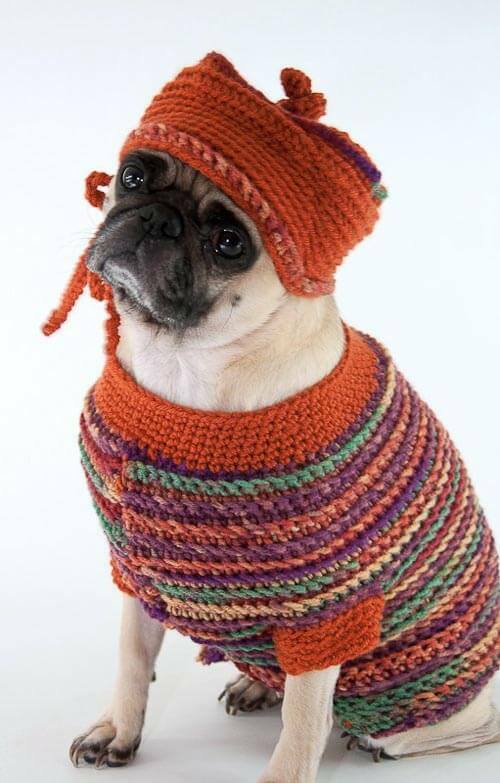 They are CUTE too and especially when shown in knitted sweaters :-). How adorable!! Why don’t they make sweaters for cats. Oh yeah, they would react like the beagle mentioned above. Never mind.